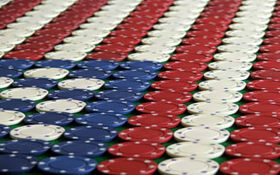 The waters in Congress are extremely murky when it comes to Harry Reid’s proposed online poker legislation. Unlike say tax policy or universal health-care, Reid’s peers in the Senate and the House of Representatives are for the most part unwilling to publicly take a stand on the issue of Internet gambling. So we are left in the unenviable position of listening to them dither and speak in broad generalities about the proposed measure. Unfortunately for online poker players, the issue of a legalizing and regulating the industry just doesn’t have broad appeal to the vast majority of Americans. Despite the fact that millions of Americans play poker, only a small fraction of these participants would be up in arms should online poker ever be banned in the US. Even the people who regularly participate in online poker games at the safest poker sites would simply shrug it off in due time, and move on to another form of entertainment. Imagine if Chess was banned, would you care? What about if they banned Magic the Gathering? Or how about if the government decided that Curling could no longer be played in the United States? The point is, that unless you fall into the particular cross section of people who are actively involved in the endeavor it really doesn’t matter all that much. You see this all the time when a TV show is abruptly cancelled; for a week or two there is outrage amongst its viewers, but this eventually fizzles out as they move on to a new show. This leaves online poker players in the unenviable position of trying to argue for something that most people care very little about one way or the other: Imagine you are a Red Sox fan and find yourself attending a San Diego Padres vs. Milwaukee Brewers game; do you really care who wins or loses? So, how do we frame the debate to the masses who view online poker with utter indifference? The key is to use easy to understand arguments that matter to most people. Unfortunately, one of the main arguments poker players make is that poker is a game of skill, not luck. While this is obviously true, all we are doing with this argument is hitting the apathy button! By focusing on these arguments: Taxation, Freedom, and The Children, we can force the general public to have to make a decision on the issue –which forces are representatives in Washington DC to have to do the same! This entry was posted on Tuesday, December 14th, 2010 at 6:31 am and is filed under Poker News. You can follow any responses to this entry through the RSS 2.0 feed. You can leave a response, or trackback from your own site.